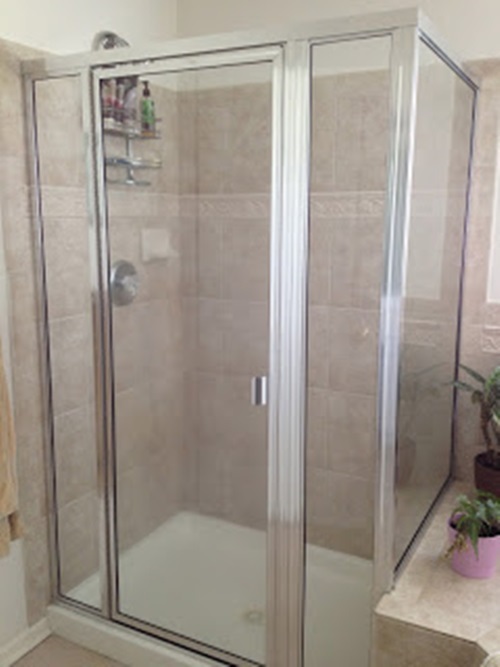 The typical ordinary bathroom shower and windows plastic curtains most of the times don’t meet the elegance and sophistication level of the sleek faucets and modern lavatories and bath tubes , so instead of adding or enhancing the sleek look in the bathroom they make the bathroom end up looking odd and not matched properly or tastefully . 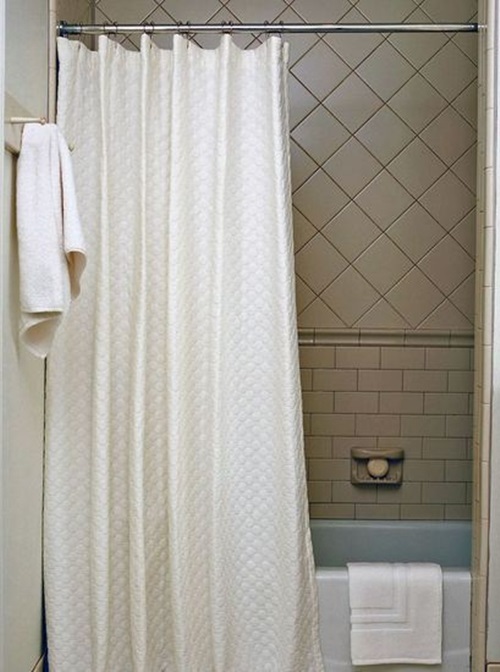 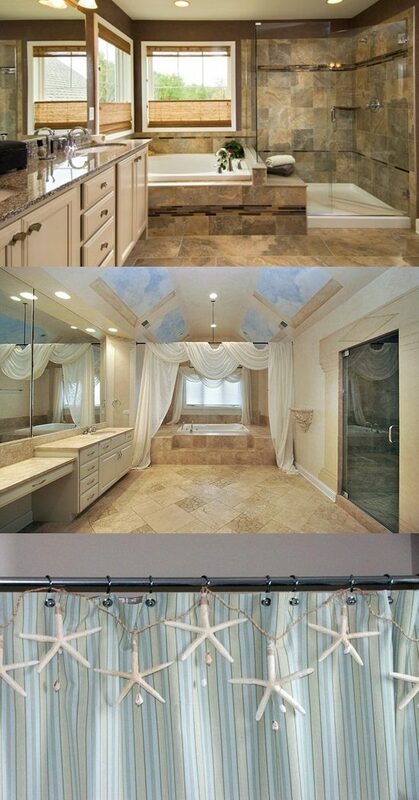 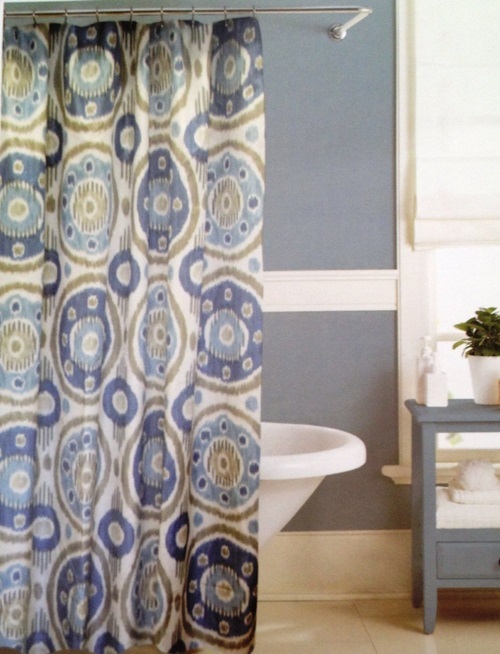 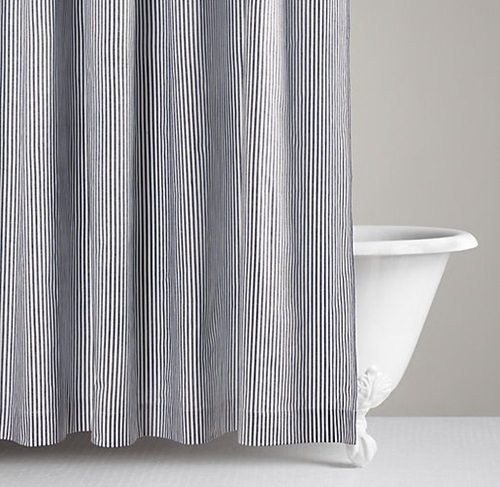 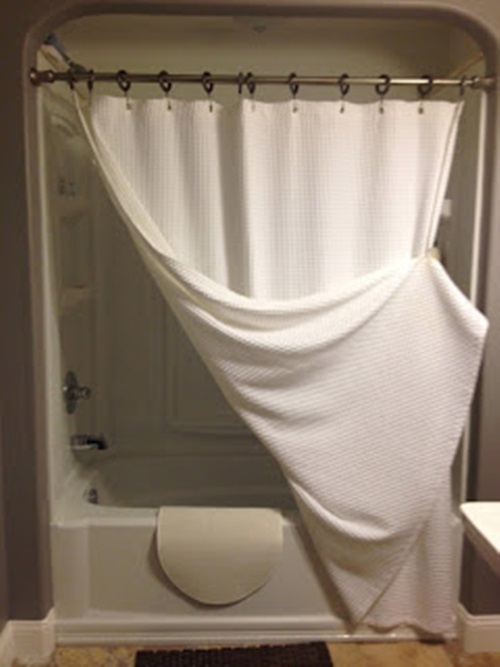 That end up frustrating the bathroom users , Even though bathroom shower curtains and windows curtains can be found nowadays in a very wide variety of patterns , colors , and materials they still don’t blend properly with the rest of the sleek lines for the countertops and the modern faucets and cabinets . 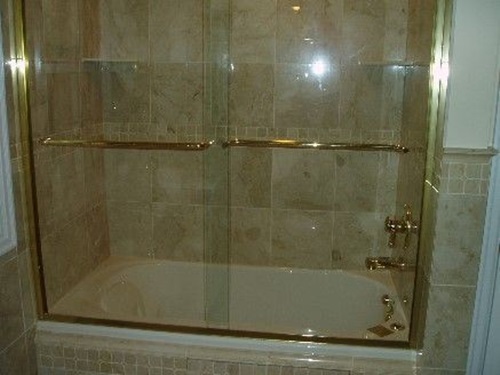 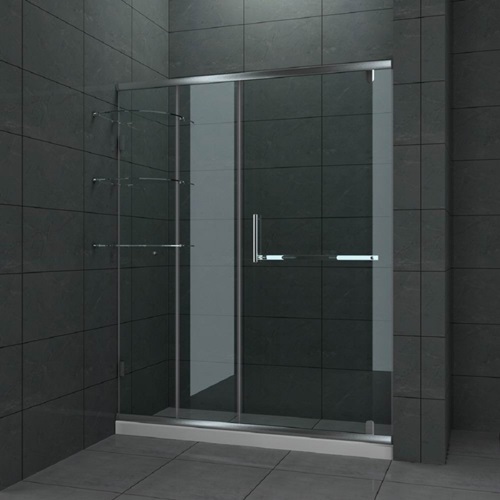 The solution is easy and often used and chosen by house owners , instead of using plastic shower curtains opt to have elegant shower glass doors , the shower glass doors help to make the bathroom look like it is more opened not cut and partitioned in half which make the bathroom look larger than it is . 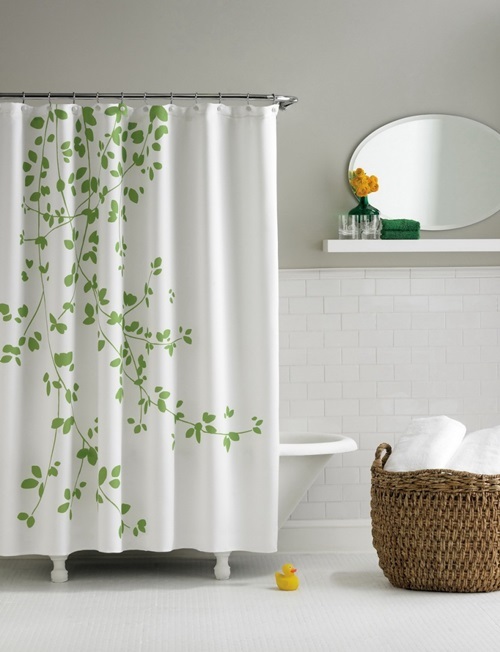 As for your bathroom windows , remove the bathroom windows curtains and replace them with elegant glass windows . 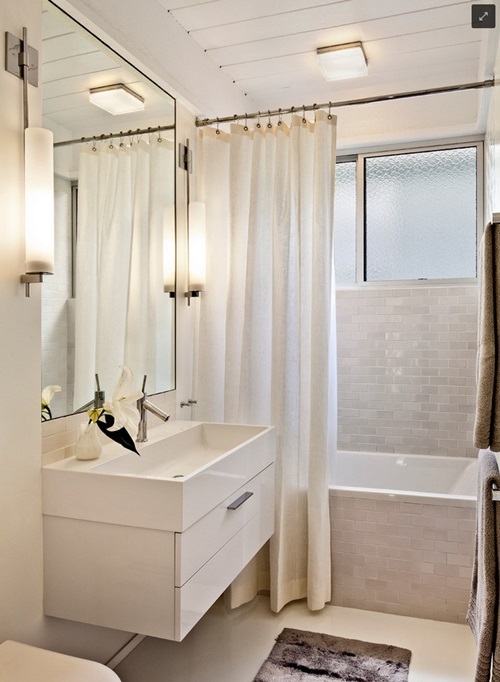 play with the framing of the window as it will be the element that generate the look and ambiance of the bathroom , match it up with the rest of the colors of the tiles and countertops in your bathroom . 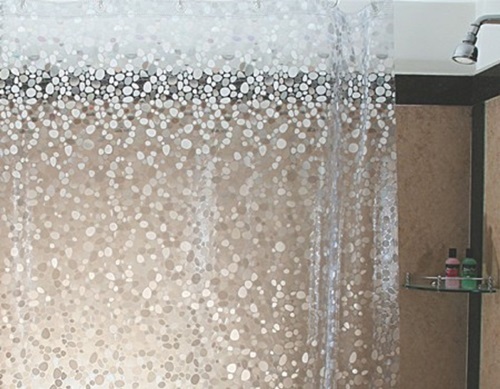 The decorative glass films are found with too many patterns that you are sure to find what suits your bathroom and enhance its appearance , glass films that block the view but don’t block the sunlight can be used to suffice you from using bathroom shower and windows curtains . 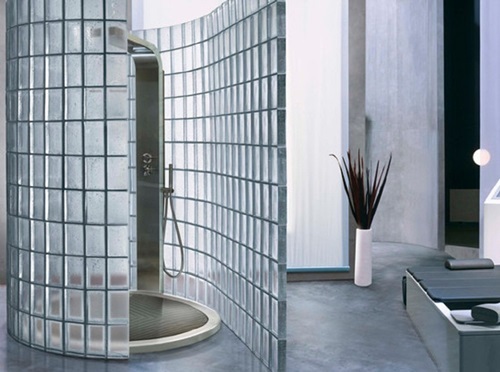 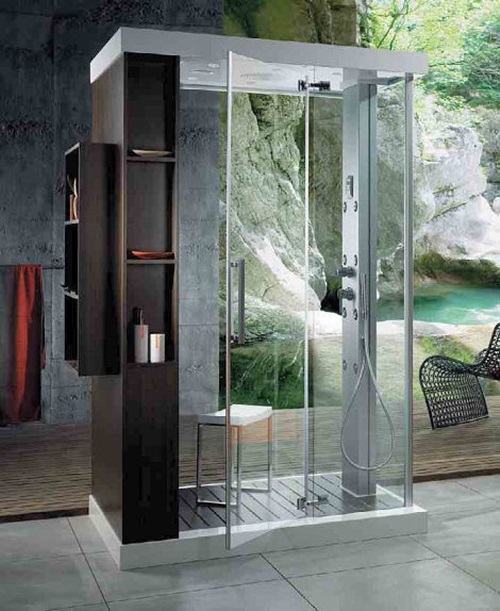 The choice will be taken according to the overall theme of your bathroom , For example if you have an Asian theme in your bathroom you can look for glass films for your shower doors that enhance the Asian appeal , the choices and varieties are too much, choose what suit your bathroom and serve your needs . 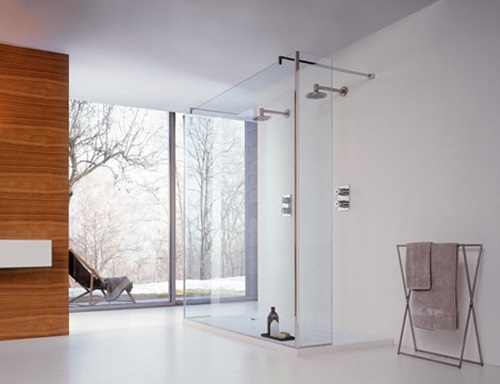 consider that same glass film for your shower doors might not suit the windows .